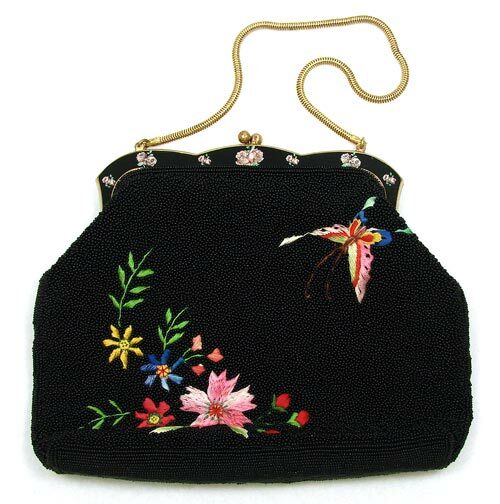 A wonderful example of an embroidered hand beaded bag from the 1950's. 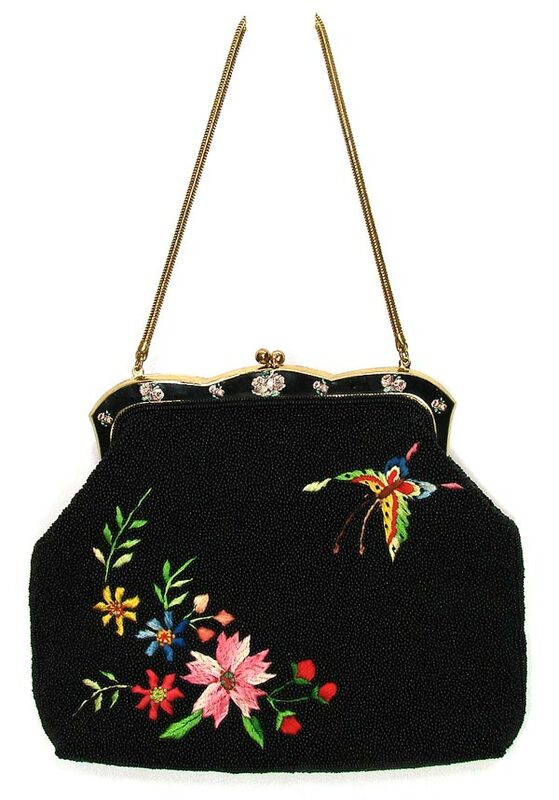 This design is unusual since it combines a snake chain strap, full black seed bead beading on all sides and kiss lock closure with black enamel and applied roses. 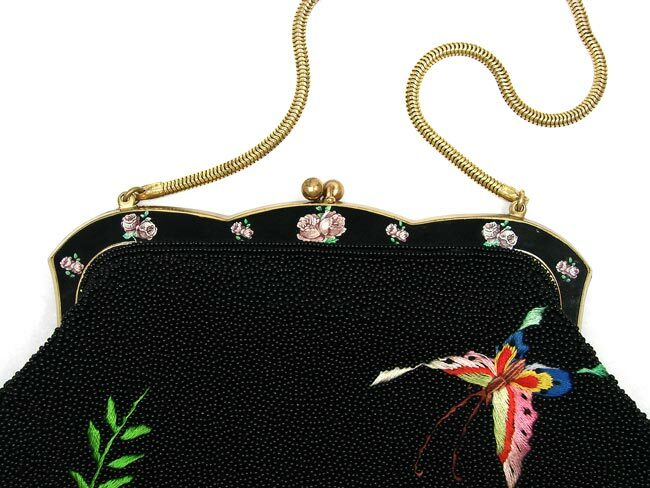 The bag is hand embroidered with flowers and butterflies on both sides! 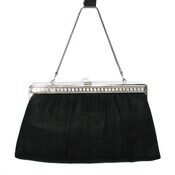 I've never seen another purse like this. 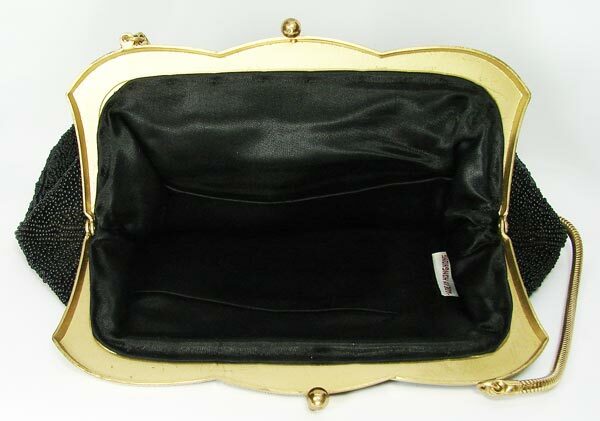 The interior of the purse is lined in satin with a small pocket on one side. The tag reads "MADE IN HONG KONG". 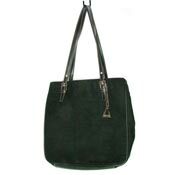 Condition: This bag is in excellent condition. 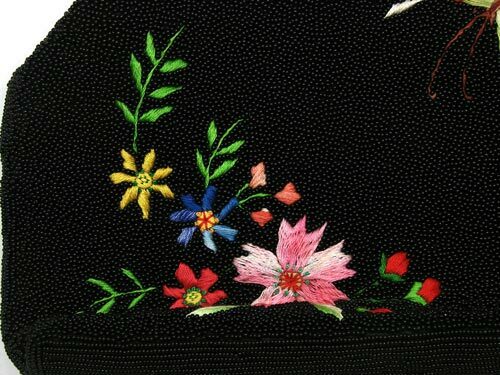 All of the beadwork and embroidery appears to be fully intact. There is a very small makeup spot on the inside of the bag at the bottom on the satin. There is some expected patina on the brass/gold hardware, minor wear on the kisslock clasp and one dark spot on the chain strap. 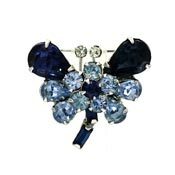 It appears to have been lovingly stored away and would make a great addition to your collection. 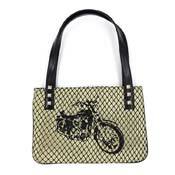 Ships quick in 0-1 business days! Due to size, this item may ship in its own box or package.